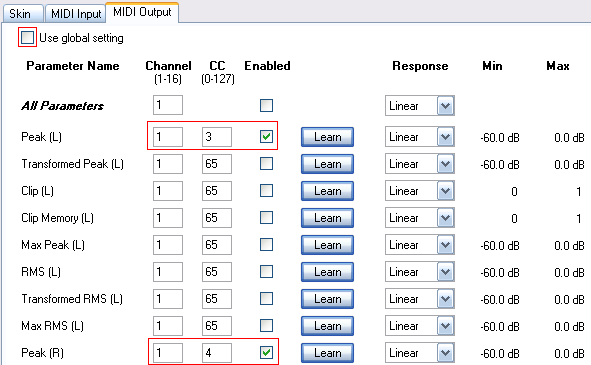 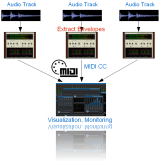 This tutorial shows how to use the Remote Control MIDI control surface and Blue Cat's DP Meter Pro analysis plugin (DPMP) to monitor several tracks in a same screen, on graphs or meters you can customize the way you wish. 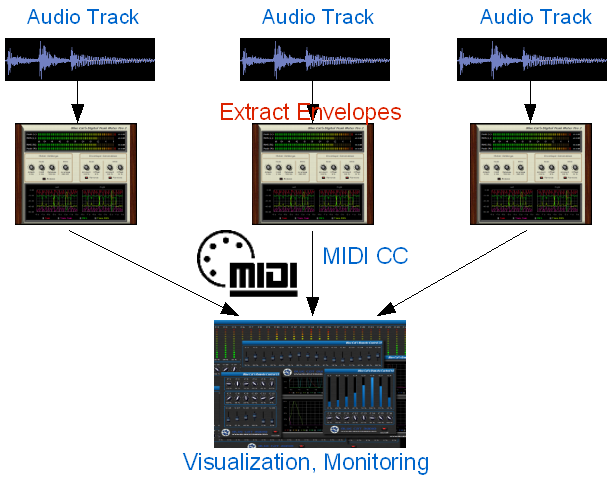 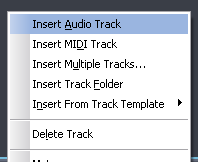 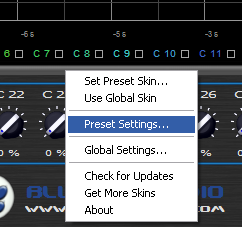 This tutorial uses Cakewalk Sonar 6 as a host application, but any directX or VST compatible host that supports MIDI routing will work. 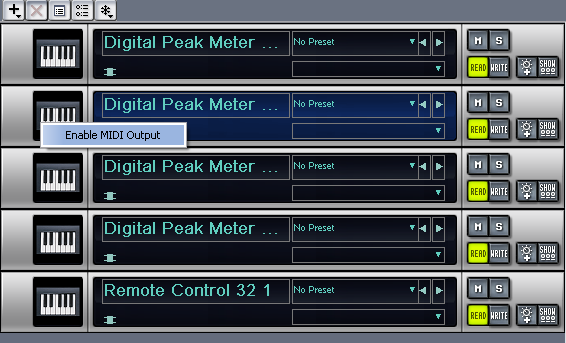 See our DP Meter Pro Tutorials for more information about how to use MIDI routing in other applications such as Ableton Live, Steinberg Cubase, Energy XT etc. 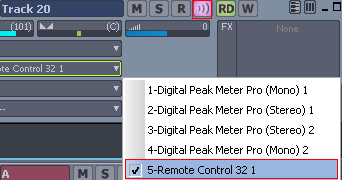 You are now able to monitor several tracks in a single screen thanks to the DP Meter Pro and Remote Control MIDI capabilities. 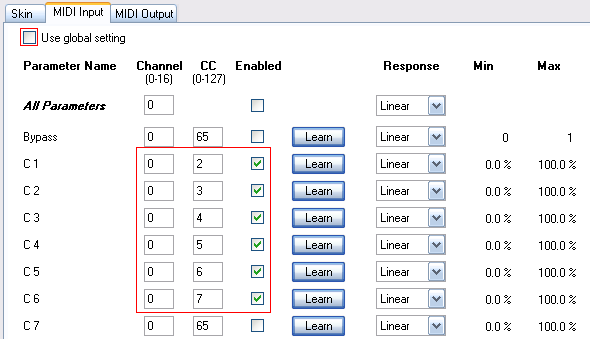 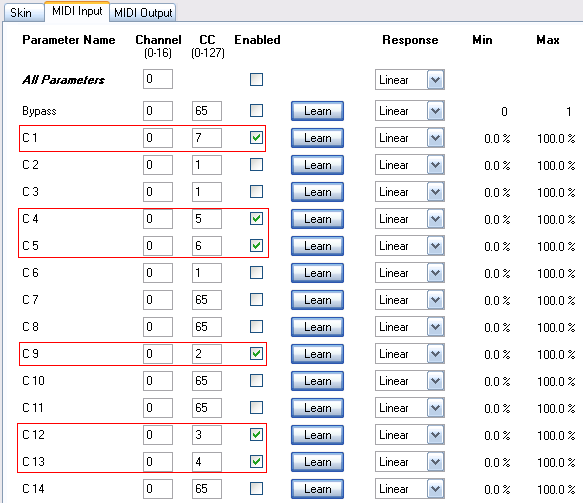 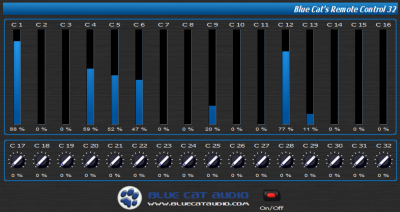 Go a step further and read our next tutorial, Monitor and Control with Blue Cat's remote Control. 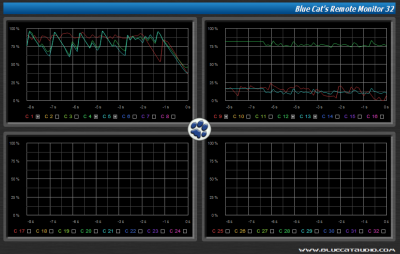 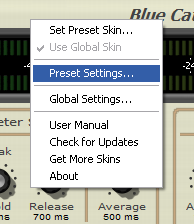 You can also start to customize your user interface with Blue Cat's skinning language, or choose to monitor other parameters (RMS level, Mid/Side level...) with our Audio Analysis tools.